The Besse Super-Besse ski resort is made up of two villages each with its own little personality: The medieval village of Besse has a rich architectural and historical past. Built at 1050 metres, it is a picturesque and lively town where day to day life takes place at the heart of the friendly, consistently festive atmosphere. The true ski resort, Super-Besse is dynamic and vibrant. Super-Besse offers skiing between 1300 and 1850 metres in altitude. The resort is ideal for sporting holidays amongst friends or with the family. The resort appeals to both alpine ski fans as well as the ‘nu-Skool' winter sports enthusiasts. 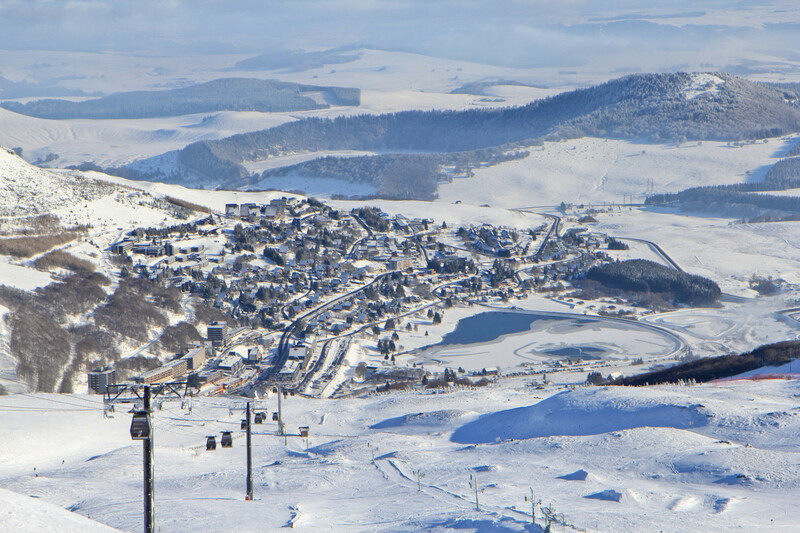 Between the two villages of Besse and Super-Besse the Lake Pavin has an array of hiking trails and cross-country ski trails for those who want to enjoy the amazing panoramas of the Sancy region. The warmth and welcome of the local families is a long time tradition within various towns of the Massif du Sancy. In Besse or Super-Besse there are family activities for all. Spas and fitness centres for all ages, family walks, and cultural visits are a plenty! A modern resort, certified "Famille plus montagne (Families and Mountains)," Besse Super Besse allows anyone to make the most of what is on offer in the day, whether it be sporting or cultural and in the evening time to share some great moments between friends or family in the evening in the array of charming restaurants... In Besse Super Besse visitors can experience the real mountain culture.